45% less fat than regular ice cream. 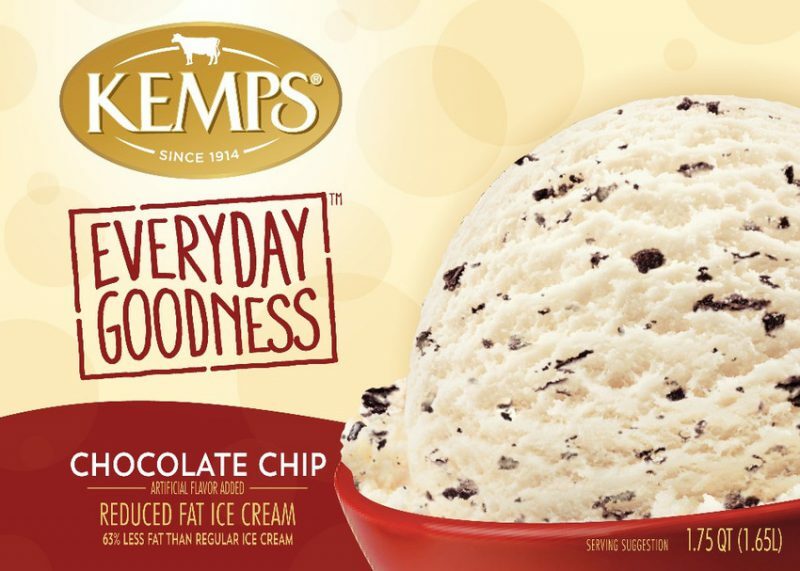 Fat reduced from 11g to 6g per 1/2 cup serving compared to regular ice cream. MILKFAT AND NONFAT MILK, SWEET CREAM BUTTERMILK, HIGH FRUCTOSE CORN SYRUP, CORN SYRUP, CHOCOLATY CHIPS (SUGAR, COCONUT OIL, COCOA PROCESSED WITH ALKALI, WHEY, NONFAT MILK, SOY LECITHIN, SALT, NATURAL FLAVOR), WHEY, MALTODEXTRIN, CONTAINS LESS THAN 2% OF NATURAL AND ARTIFICIAL FLAVOR, MONO AND DIGLYCERIDES, TAPIOCA STARCH, GUAR GUM, CAROB BEAN GUM, ANNATTO (COLOR), CARRAGEENAN, SUCRALOSE.